Day One of Bout of Books and I haven't "signed up" or even read anything. Eek. 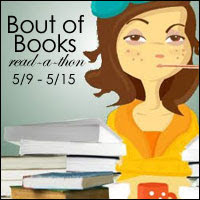 I love taking part of Bout of Books each year because I think it comes at good timing. I always find that around mid year I hit a lull and never really read anything but this read-a-thon gives me a chance to smash out at least a read or two. I do think that that's being ambitious but I can always aim high right? Rightttt? Zilch as of this moment. Will check in again tomorrow. If you guys are participating let me know!